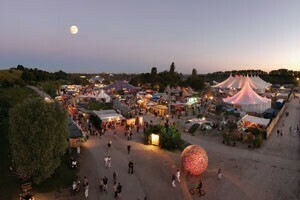 Twice a year the Tollwood Festival in Munich offers culture for all. Each of the events, from plays and performances to concerts, is either free or costs very little. The approx. 1.5 million visitors can also enjoy the 'market of ideas' in summer and explore one of Munich's most delightful Christmas markets in winter. The Tollwood Festival is proud to be a 'green' forum and a platform for environmental themes.